This may or may not come as a bit of a shock to those who know me, but I have very little confidence and possibly even less self esteem. I can often be heard to say “I hate people” but in fact I only really ‘hate’ people (in general; you are all lovely individually…okay, most of you are) because people are my biggest phobia. I live in constant fear of new social situations; am I being polite enough, would it be best to make a joke, should I not say anything at all? When I’m out and about if someone I don’t know starts talking to me about the weather or road works or anything in general I tend to panic and have a full on physical reaction – racing pulse, shallow breathing, shaking and nausea. I’ve always been interested in photography; I can’t go anywhere or to any kind of event without a camera, whether that be my phone or my point and shoot. It makes a good tool for blogging (as you other bloggers will know) and I also think I’m pretty good at it – composing shots and the like. I am however, a complete amateur and have recently decided I want to upgrade my camera to either a bridge or a DSLR in an attempt to learn the art of photography properly. I mainly got cocky replies, very few being helpful. These included pointing out that bridge cameras are not DSLRs (I had noticed thank you, especially after specifying I’d prefer a bridge to a DSLR) as well as several cameras that I should buy instead that are out of my stipulated price range. Thanks for nothing! I spent more time defending my position than receiving advice on what to buy. I chose forums and specifically the boards aimed at beginners so that I might get patient advice from others who would appreciate I am a complete amateur and, considering the others on the forum should (in theory) also be amateurs (yes some a lot more advanced non-professionals, but still) I thought there would be some patience there. I expected some queries maybe asking for a few more specifics; am I prepared to buy second hand etc and a few suggestions of what features I should/should not be concerned with. I went to bed on Saturday night incredibly upset, with what little confidence I still possessed battered and bruised. My husband, who is possibly one of the kindest and most patient people I know (especially with regard to my many ‘quirks’) told me not to take it to heart and try again in morning. Sure enough, when I awoke on Sunday morning, there in my inbox was a message reply posted on one of the forums. Some kind soul had taken my post for exactly what it was and offered me some constructive advice. It was on the back of this that I then posted again in the forums and finally saw some pleasantries appear out of the woodwork. I then (in a shockingly brave move by me) decided, on the spur of the moment to join that evening’s LBloggers’ chat on Twitter. It’s (not really) ironic in that this week’s topic was positive vs negative posts, considering I’d already started writing this. There was a good range of opinion put forward and everyone was really nice. I thoroughly enjoyed the chat and spoke to some lovely people. Well, it’s not a bridge camera nor will you find it within your set budget. I am incredibly frustrated, I used to enjoy posting on message boards with like minded people ‘back in the day’, but someone always comes along and ruins the fun, which is why I stopped. This was like a cold, bitter reminder. It is a shame, as I’ve been a bit more adventurous by joining The SO project and participating in the Twitter chats on a Tuesday night, (and the LBloggers chat as well now on Sunday). This luckily for me has been a mainly positive experience (granted, I could probably be a bit more active in the chat rather than cowering overwhelmed as the links and posts roll in; but I find myself with a million tabs open, trying to read through and comment on as many as possible) and everyone has been lovely and pleasant to chat to, sharing ideas and suggesting new products to try. It was off the back of this new found confidence that I decided to try seeking help in forums. I mistakenly thought the creatures that inhabit them would be just as kind and friendly. Has anyone else experienced this? Have you had some disastrous encounters on a forum or Twitter or other social network? Do you know anything about cameras? Please comment below! In the mean time, I’m still very much looking forward to the SO project chat tomorrow night despite me not posting this week and to the next LBloggers’ chat next Sunday! If you hadn’t guessed already, I am bit lazy when it comes to beauty. I think this is what makes me a bit different in the starting off project; I don’t do anything complicated, I like being able to things as quickly and effectively as possible. I often like to go barefaced because of this; if my skin looks good, I’d rather not cover it up. However, there do come days when the odd blemish or the demon pimple appear and even I am vain enough to cover it up. 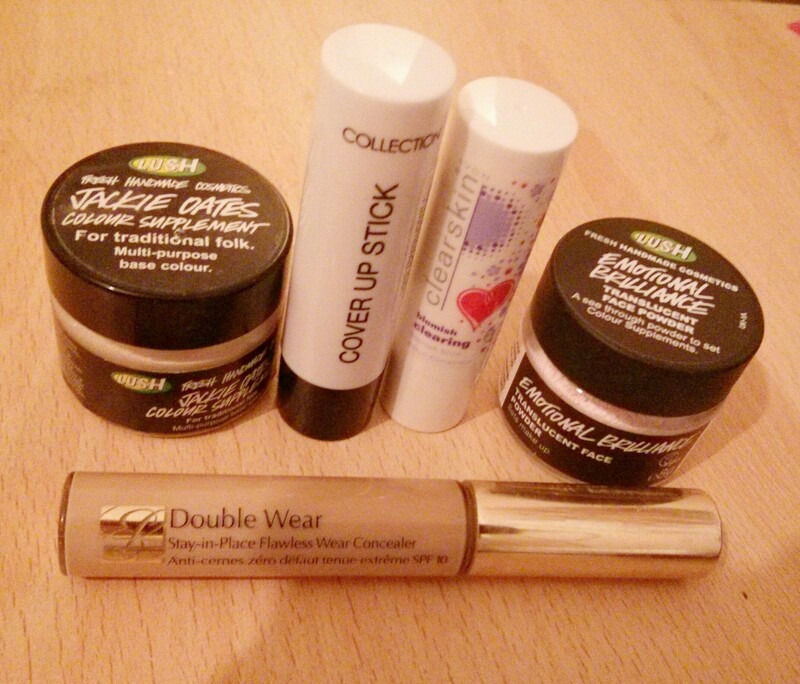 This week we’re looking at concealer. TEENAGERS: After a good skincare routine, concealer is your BEST friend and secret weapon! What is it? Well it’s used to cover up any spots, blemishes and general imperfections on your face, including those horrid black circles under your eyes. Those of you who are younger teenagers probably won’t have this problem, though those of you who wear glasses might find that they do. I’m relatively new myself at covering up under the eyes, (I generally just try to hide them with my glasses) so the main focus of my concealer post will look at mainly covering up blemishes and the dreaded Vesuvian-esque spot, but there will be a bit on under eyes later on. 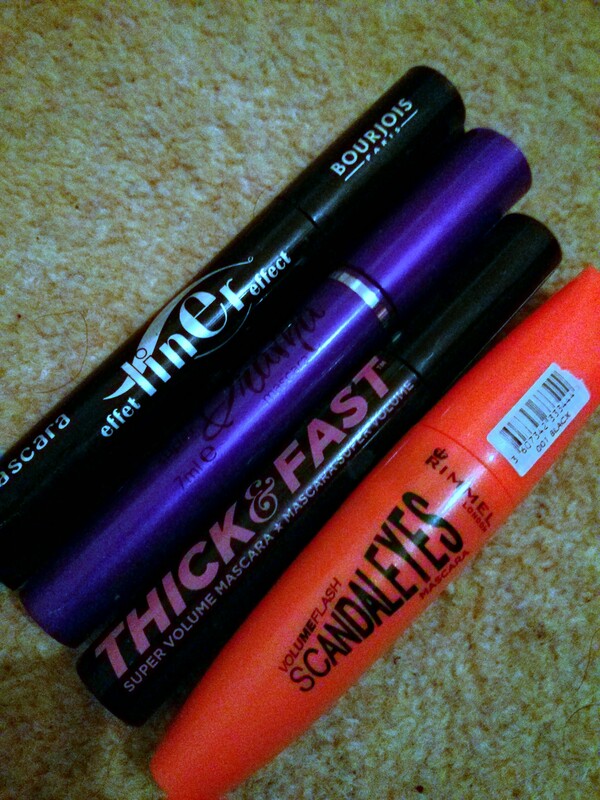 I started wearing concealer in school, well before I started wearing makeup/foundation etc. I tended to use it when I had a massive eruption somewhere roughly the size of Lady Gaga’s hair, and only really in a dire emergency. I became a regular user when I was in college and contracted Impetigo after a college holiday to London (I’m convinced I was in fact allergic to London). Not knowing what on earth had overtaken my face, I was (with good reason) far too self conscious to leave the house and attend a friend’s birthday party till my mother kindly went and bought me some more concealer with which to cover it. By the next morning however, the rash had gone from being a few obvious but small red patches to have taken over the lower part of my face and took some considerable effort to cover up. However, for the first time in years I did notice my skin looked much better than it ever had when I hadn’t contracted a highly contagious face disease. This is pretty much the technique I use to do this, though I must admit before watching this I always used a finger or the applicator that came with it; I’ve never had the inclination to buy a special concealer brush (okay, okay shock horror of FGSJ does #theSOproject part 3: I only own 2 make up brushes, one for foundation and one for blusher. I’m sorry, I promise to fix this later in the project when we all start recommending make up tools) and hadn’t thought of trying to use a cotton bud, they really are genius!! Don’t use the same concealer for under your eyes as for blemishes. You want something lighter for lightening and brightening under your eyes, and you want a concealer as close to your own skin tone as possible for covering blemishes to make it look as natural as possible. Foundation first or second? 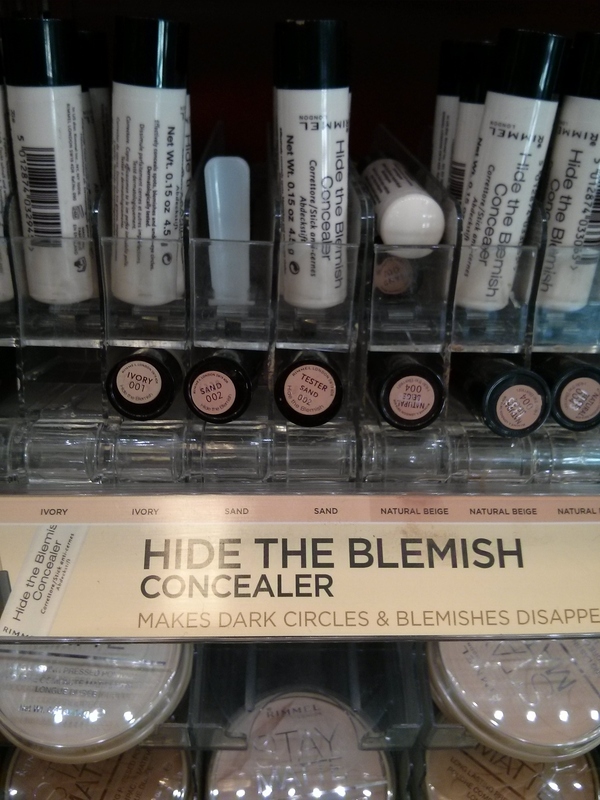 It’s up to you which way round you do concealer for covering blemishes. I prefer to do it afterwards, but do any under eye coverage before foundation. Remember to use powder on top to avoid creasing. It is apparently the UK’s most popular choice of concealer, I don’t know if this is true but it certainly does a good job and only costs £3.99. However, I’ve recently opted for a cheaper choice by Collection, as it was, well, cheaper costing only £1.99 and seemed to match my skin tone a slight bit better, I have yet to try it out though. Last year I also pushed the boat out and purchased myself some Estee Lauder Double Wear liquid concealer to go with my Double Wear Foundation for my wedding day, and this currently is my favourite go to product on a really bad day; when I don’t want to wear a full face of make up and would rather go bare faced or go ‘nudey faced’ as I like to call it. 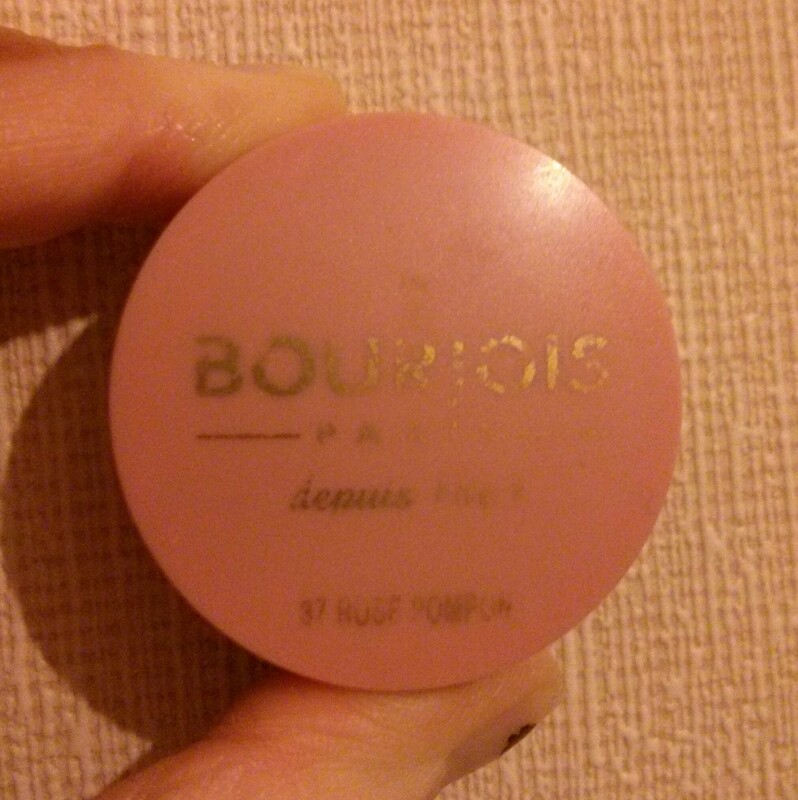 It doesn’t budge at all, feels really light, doesn’t crease and gives good coverage. It is however, mega expensive at £21. 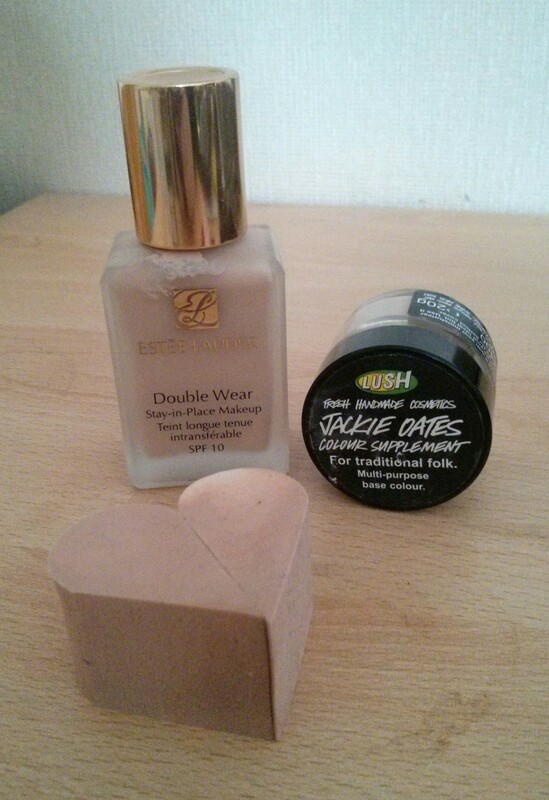 I set my concealer in place with Lush’s Emotional Brilliance (big shout out and massive thank you to Pixie Anna for collecting this for me as I had completely run out!). So there you have it, my imparted wisdom on concealer. Surprisingly still a relatively long post for a short subject; it’s amazing how much there is to say about one tiny product.